Business decisions are based on expert knowledge and experience – or at least that's the goal. The challenge today is the vast amount of information or data that is needed to make good decisions every day, especially under conditions of uncertainty. Simulation models can be used to make more informed decisions by testing the intimate relationship that exists between the structure and behavior of dynamical systems – that is, how problematic behavior arises from the underlying system structure – and how the structure can then be modified and optimized to minimize or completely remove any deficiencies. 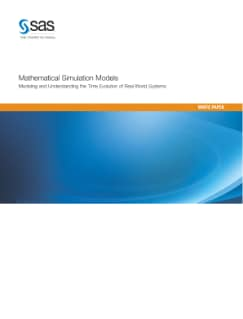 This white paper presents simulation in an illustrated format for those needing to model and understand the time evolution of real-world systems.